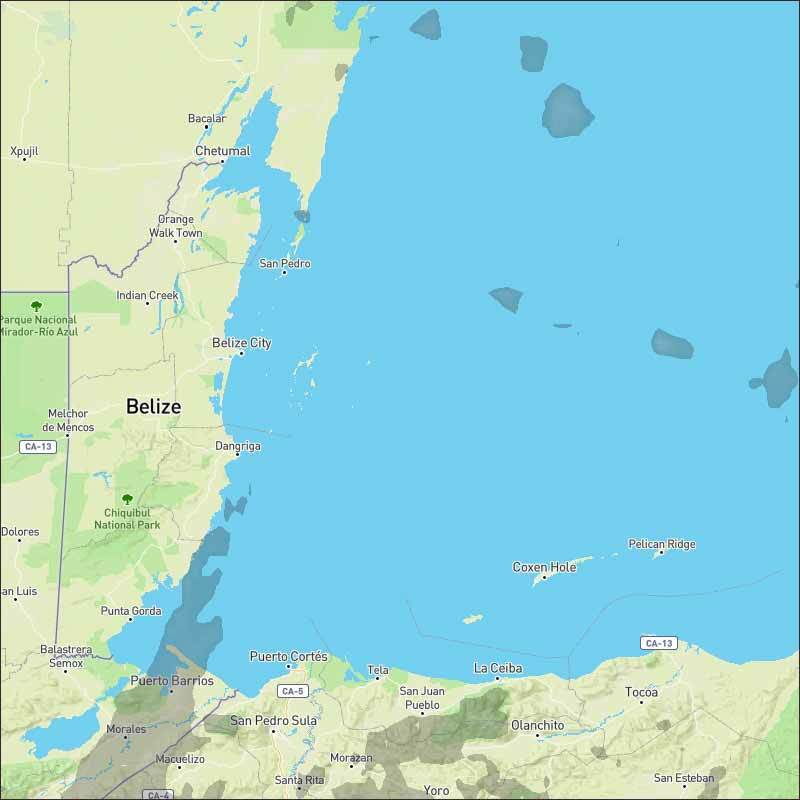 Belize NMS: Mainly fair weather to prevail today. 24-hour forecast: Mostly sunny today and partly cloudy tonight, with little or no rainfall expected. General Outlook: For Monday and Monday night is for isolated showers to develop mainly over inland areas Monday afternoon and then a few showers and possible isolated thunderstorms developing offshore during the night. Today E-SE 5-15 kts Light Chop 1-3 ft LITTLE OR NO RAINFALL. Tonight E-SE 10-20 kts Light Chop-Choppy 2-4 ft ONLY ISOLATED SHOWERS. Tomorrow E-SE 5-15 kts Light Chop-Choppy 2-4 ft ISOLATED SHOWERS OR POSSIBLE ISOLATED THUNDERSTORMS. Outlook E-NE 5-15 kts Light Chop-Choppy 2-4 ft MONDAY NIGHT:- A FEW SHOWERS AND ISOLATED THUNDERSTORMS. A surface trough extends from near 21N61W in the Atlantic to 17N63W to 13N64W over the eastern Caribbean. Isolated showers are seen along and just west of the trough, from 15N-18N between 63W-67W. Elsewhere, the basin is free of significant convection due to strong subsidence in the region. Fresh to locally strong trades are forecast across the tropical waters E of the Windward Islands through this morning. Locally strong nocturnal trades are forecast along the NW coast of Colombia through Thu. Elsewhere, moderate trades are expected N of 17N, while fresh trades are forecast S of 17N. On Ambergris Caye this morning the breeze is from the East-SE. We have a clear sky and the sea around our Barrier Reef has light chop. It looks like another warm sunny day ahead with the expected high in the upper 80's. The whole area around us is remarkably clear of any significant weather activity. 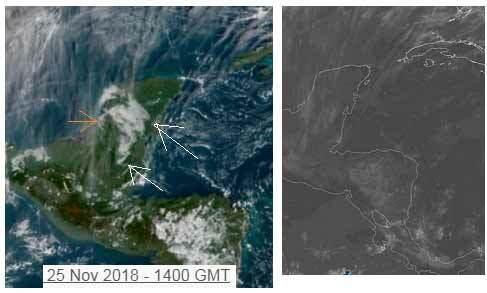 There is still fog in the Yucatan that has not yet cleared, and a few small patches in Belize. The westerly high level is very thin. 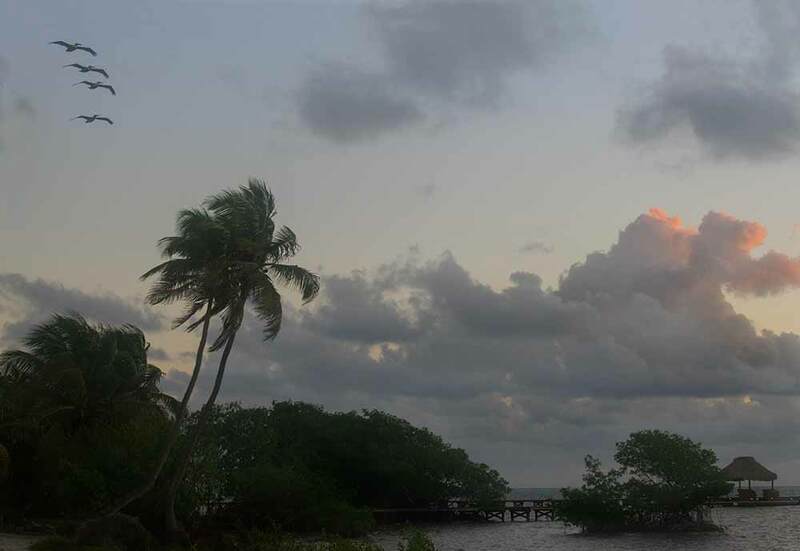 The Caribbean winds have small clouds, which will get bigger during the morning, but there is significant coastal cloud in the south Stann Creek area. Looks like today will be mainly sunny for all of us, with white clouds developing this morning and reducing this afternoon, no rain expected. The Cloud picture. 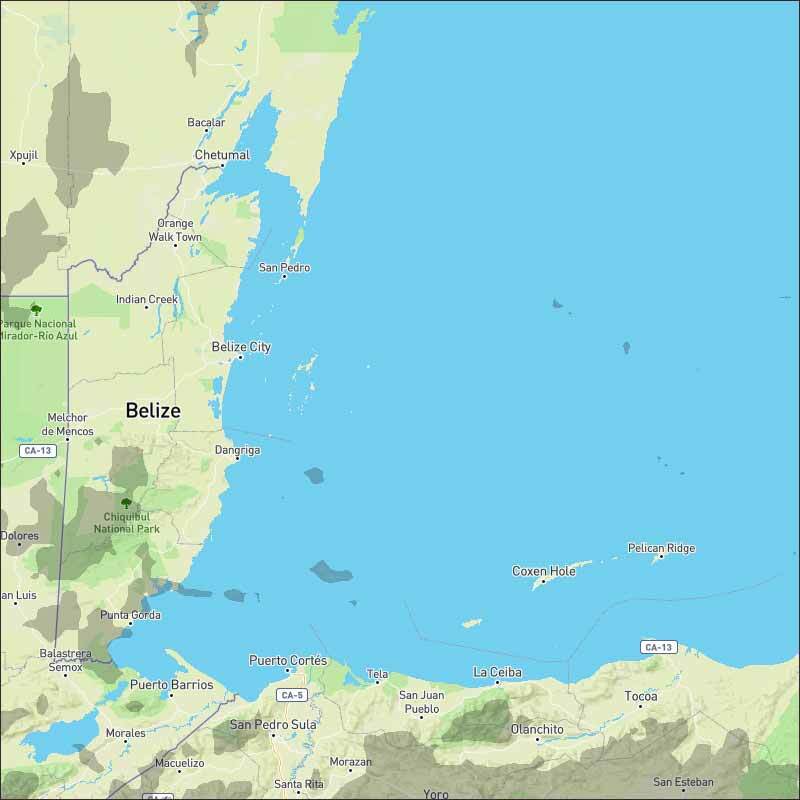 As you can see, not a lot of cloud near Belize. 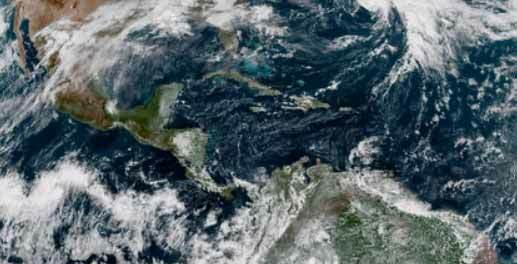 The Monsoon belt, which supports the ITCZ swellups is now well to the south of us, and presently, no cold fronts near the Gulf of Mexico. All quiet on the western front. Updated satellite view... very nice!! !